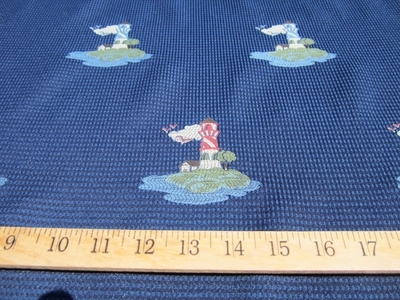 Lighthouses are the theme of this cute fabric jacquard. 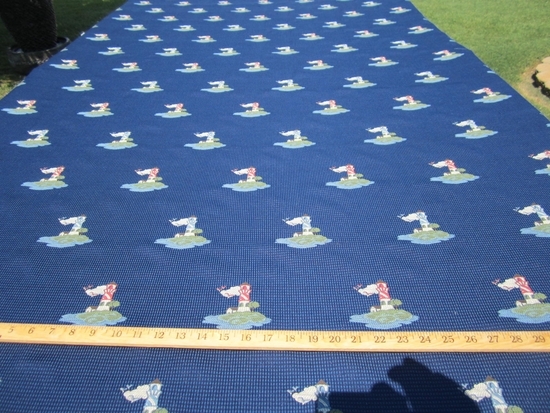 It's mid weight and suitable for drapery or upholstery. I believe it to be a cotton and polyester blend. it's nonrailroaded (pattern goes up the roll). Width is 56"